The Gallows Run watershed is located in Nockamixon, Springfield and Durham Townships in Northern Bucks County, in Southeastern Pennsylvania. The 8.87 square mile watershed is among one of the most scenic and economically important areas in the region. The seventeen miles of waterway are classified as Cold Water Fishery (CWF) by the Pennsylvania Department of Environmental Protection (PADEP). Many of the natural, cultural, historical and recreational amenities within the Gallows Run watershed are identified in a variety of studies, and are the focus of resource protection efforts. Surface and groundwater resources in the watershed are hydro-geologically connected and watershed residents obtain drinking water from on-site well protection efforts are imperative. The Gallows Run Watershed Association (GRWA) was initially formed in 2001 in response to a proposed, high-density and high impact land development. Since then, the Gallows Run Watershed Association has successfully completed a variety of projects, planning, policy, and outreach efforts. 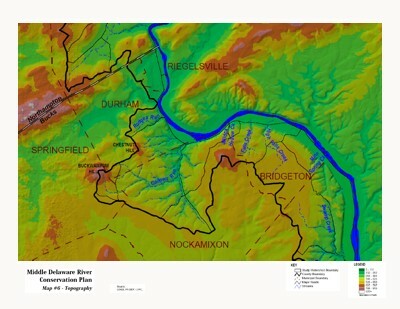 In 2002, the Gallows Run Watershed Association realized that there were many regional watershed conservation plans; however a specific plan to address and abate prioritized non-point source pollution problem areas was required for the Gallows Run sub watershed. 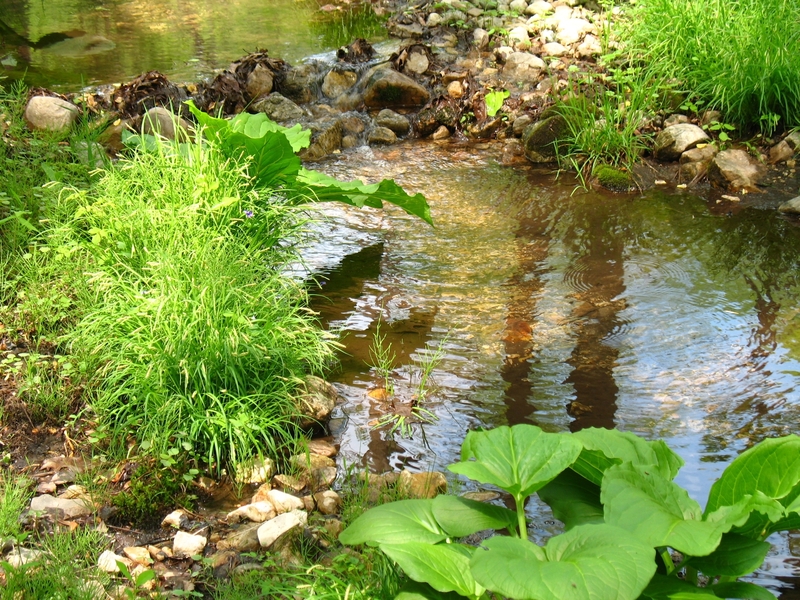 The Gallows Run Watershed Association successfully secured a Pennsylvania Department of Environmental Protection (PADEP) Growing Greener grant in 2003 to complete the Gallows Run Watershed Restoration and Protection Plan. The goal of the project is to complete the necessary research, fieldwork, public outreach, and scientific analysis to create a prioritized list of restoration and protection measures to maintain and improve water quality within the Gallows Run Watershed. Plan objectives are to create a restoration and protection plan based on sound scientific approaches. The final restoration and protection plan contains a weighted and prioritized list of water quality and water quantity problem areas and specific management recommendations to protect amenity areas and restore problem areas. One of the most challenging tasks in any environmental study is to obtain adequate information and feedback from the community. Therefore, a variety of public outreach efforts were implemented to obtain input from individuals, agencies, non-profit organizations, businesses, landowners and interested individuals. A technical advisory committee assisted project consultants throughout the study. Other measures to garner public participation included: watershed tours, one-on-one interviews, a questionnaire distributed to over 1000 people (a ten percent response rate to the questionnaire) information booths at community events, two public meetings, press releases, a newsletter devoted entirely to the project, several newsletter articles, volunteer involvement in field work, three watershed workshops, and special projects for local students. Existing information about the watershed originated from a variety of agencies, academic sources, and completed studies. In fall 2004, the project consultants and a group of trained volunteers completed a comprehensive field assessment. The purpose of the watershed field assessment was to document water quality amenities, water quality problem areas, and problem area origins. Information was recorded, field checked and placed in Geographic Information System (GIS) format. The Gallows Run Watershed Restoration and Protection Plan contains a weighted list of water quality and water problem areas within the Gallows Run Watershed. Implementing the identified restoration and protection measures will: add protection to watershed amenities; restore impacted problem areas based on need; increase interest in a watershed protection effort, abate nonpoint source pollution, and to sustain and improve water quality. Work on securing funds and the partnerships necessary for plan implementation has already started. Years of pro-active state, regional and local planning and management efforts identified a variety of significant natural, historical, cultural, recreational, and economic amenities (e.g., high quality surface and groundwater, healthy aquatic ecosystems, threatened and endangered species, historic structures and villages, pre-Columbian archeological sites, scenic vistas, preserved open space, parks, and trails) in the Gallows Run Watershed. The Gallows Run is a Cold Water Fishery (CWF) as classified by the Pennsylvania Department of Environmental Protection (PADEP). Maintaining and enhancing HQ water quality through nonpoint source protection efforts is especially important to the citizens of the Gallows Run Watershed as surface and groundwater resources are hydro-geologically connected, and groundwater is presently the only source of drinking water in the community.